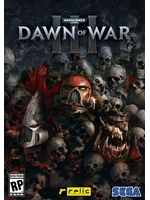 Before the open beta takes place this weekend, here is a full 3v3 multiplayer match of Warhammer 40,000: Dawn of War III commented and analysed by Game Director Philippe Boule and Game Designer Carolina Mastretta from Relic Entertainment. The team also prepared some starter tips here. The game is due out April 27.